This product is a continuous, self-adhesive roll of 4mil plastic film. 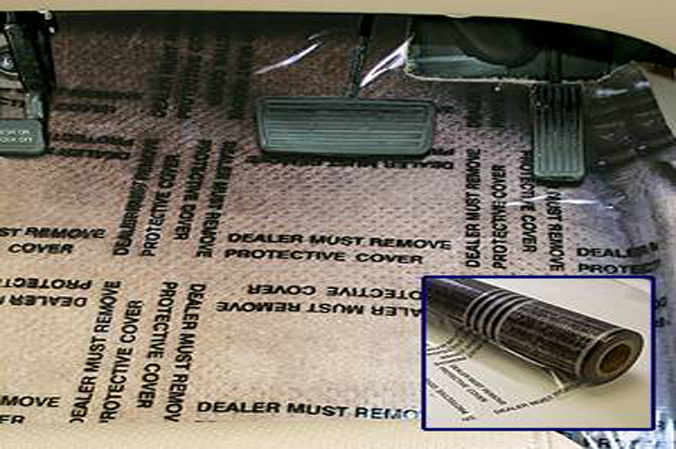 It is used to protect automotive carpets while repairs are being performed. Rolls are perforated every 21 inches for easy tearing to the right size. “DMR” keeps carpets clean, and enhances value perception upon completion of work. Protects vehicle carpets from dirt and grime. Easy to apply and reposition.